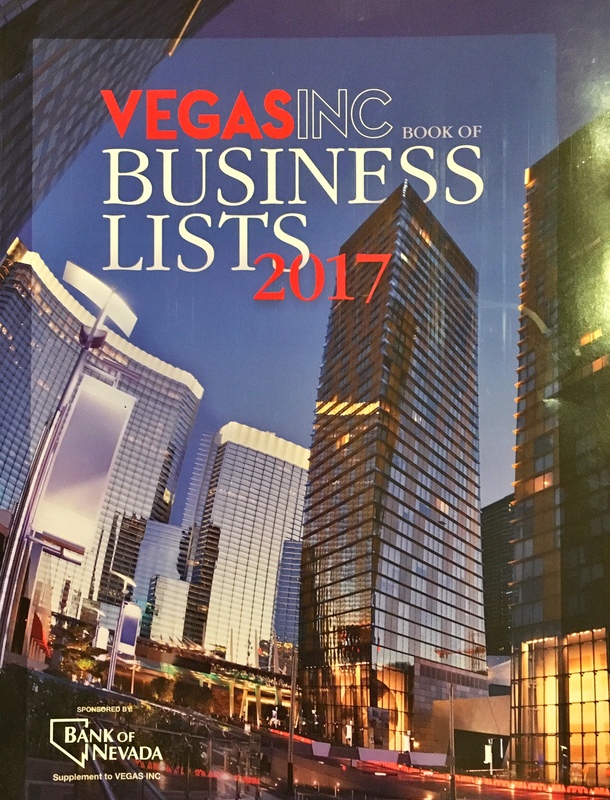 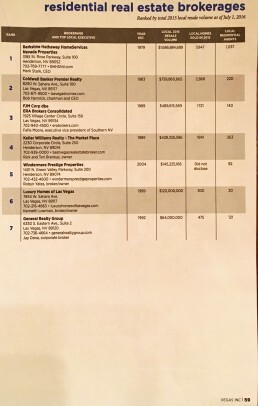 Vegas Inc and Las Vegas Business Press published their Book of Lists for 2017 and both ranked ERA Brokers #3. 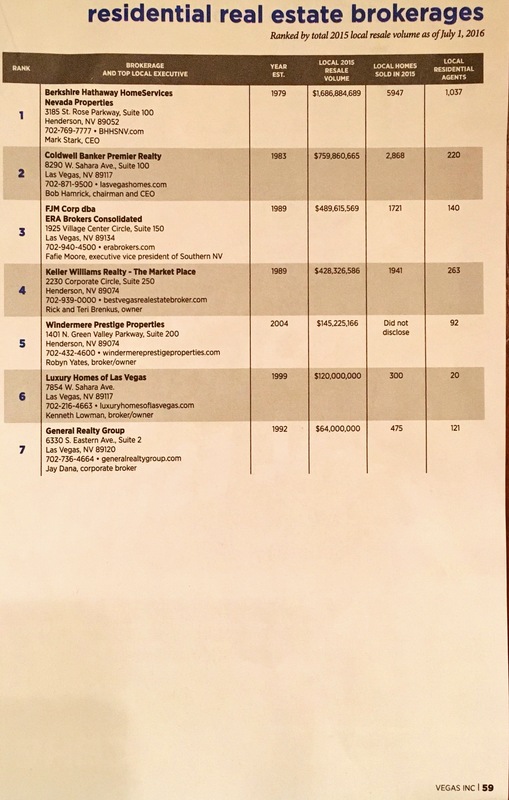 Both publications used units and sales volume to determine rankings. 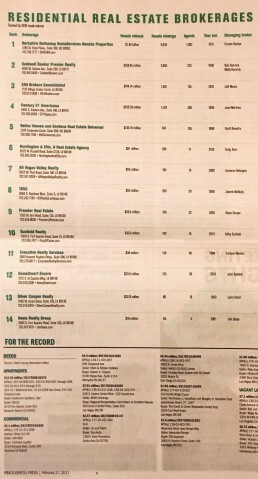 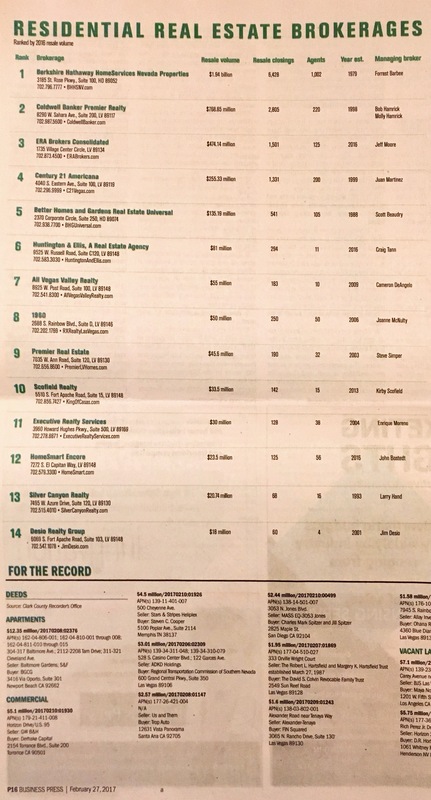 The release of the Vegas Inc and Las Vegas Business Press rankings comes on the heels of ERA Brokers grand opening of their Summerlin office in January and their #15 ranking in the entire ERA franchise system.